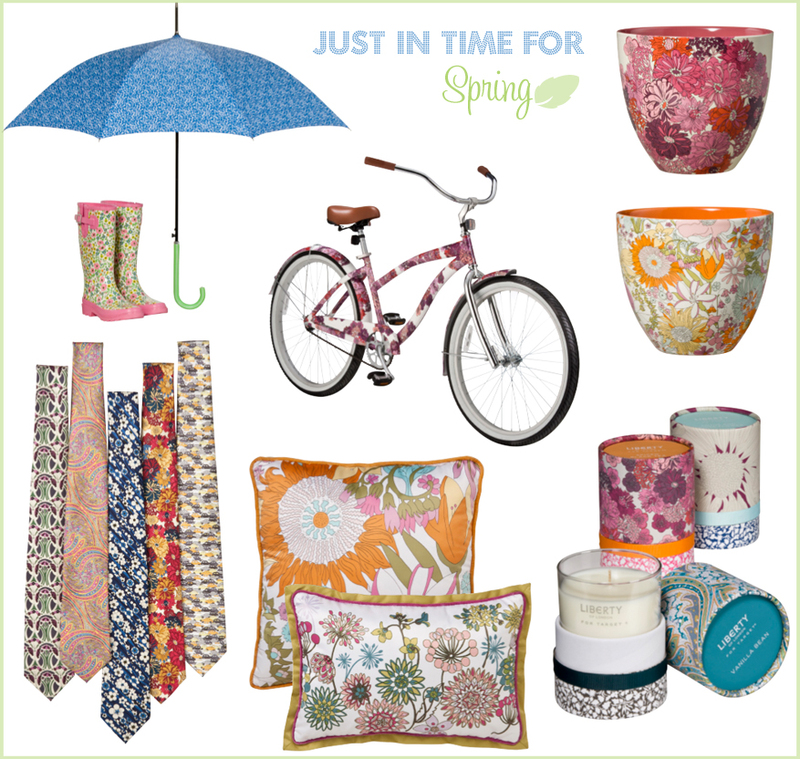 It's no secret that Liberty of London will collaborate with Target to roll out a limited edition line of products in Target stores beginning March 14th - the blog world has been a-buzz. I've been trying to find out more about the actual products as I've only seen few photos out there of mugs and teacups, and as luck would have it their publicist contacted me yesterday with an entire press kit and I selected my favorites and shared them over on Real Simple. Click here to view over 30 items from this special fashion and home collection. My favorites are pictured above -- the ties are my absolute favorite from this collection because they look so nice at weddings in the spring and summer months and well, they're quite preppy and being a southern girl I've always had a soft spot in my heart for preppy boys or "snappy casual" which southern boys do so, so well -- especially at weddings. I also like the candles, at least the packaging as I have no clue what they smell like... I would like maybe a few things but I don't like to buy a lot from any single collection so if I had to choose I'd take some candles and the ties, please! Especially the yellow and gray tie with the mini cars on it. Adore! What do you think of this collection? Be honest! Will it be a hit or miss for you? Who would you love to see work with Target on a collection, any designer come to mind? I vote for Madeline Weinrib. I'd love to see her patterns adorning Target, they have such a poor selection of rugs in my opinion and her designs would make such a difference to those of us who prefer cotton stripes and patterns in bold, modern colorways.